Please click on a photo where you will find a trainer's contact details and professional profile. To register for training or an annual assessment, please visit the training calendar for your preferred date. My passion for the NADA protocol began the first day I started work as a volunteer acupuncturist in 1994 at The Core Trust, a London rehab programme. I was invited to have the nada acupuncture along with the clients in the group acupuncture session. Having trained in the NADA protocol in 1997 at the pioneering Gateway Centre under John Tindall, I went on to volunteer there as a NADA practitioner frequently. Registered NADA trainer for Durham, Cumbria, North Yorkshire and Northumberland and is willing to travel to areas outside of the named locations if required. Registered NADA Trainer for Cornwall and Devon. 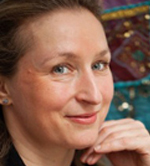 Nic trained as an Acupuncturist at Acumedic, London (affiliated to Beijing University). He did his final exam at UCL in 2009. 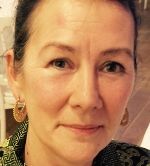 Jacqueline qualified as a Shiatsu practitioner with the Ohashi Institute in 1996 and as an acupuncturist at the College of Traditional Acupuncture in 1998 (Advanced Licence in 2002). NADA Trainer within a 50 miles radius of Oxford. 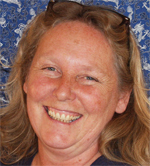 Jo is a Micro System Acupuncture Therapist and support worker with Iceni Ipswich and has been working there since 2004. 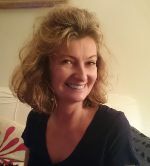 Jo has been a trainer and supervisor in auricular acupuncture for 8 years and works with the physical and mental wellbeing of the client, specialising in detox, stress anxiety and pain management. Director and Founder of the Aspen Centre. Member of the Complementary and Natural Healthcare Council which is approved by the Department of Health. Trained under John Tindall at the Yuan Traditional Medicine College and Jong Baik at the Korean Hand Acupuncture Institute. In practice since 1998 and a fully trained Cosmetic Acupuncturist and Therapist. Member of the CAUK (Cosmetic Acupuncture UK). He has a background in treating addictions, criminal justice, fertility and psychological health. NADA trainer for Essex, Suffolk and Norfolk. The NADA Protocol works by mobilising the existing internal resources of a person. As a NADA practitioner, opening access to the treatment itself comes first, which i support fully within my clinic in Alcester, Warwickshire. I believe in a patient-centred approach to treatment and therapy where communication, privacy, comfort, continuity of care, hands-on treatment, quality of treatment and facilities is the way to a quality service for patients in my care. 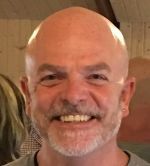 Commenced employment into the NHS in 1994 working in Mental Health and then progressed into a Substance Misuse field and completed his diploma in Substance misuse. Managed a Recovery Service for three years which commenced in 2002 and recently a Care Coordinator in Primary care. Has been delivering the NADA protocol for 17 years as an Auricular Acupuncturist. Dave has recently become a Trainer and Assessor for NADA GB and feels very proud to be a part of the team. Owner of Equilibria Therapeutics based in Liverpool and Nada trainer for Merseyside and North West. 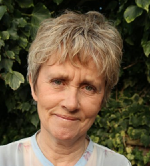 Trained as a Holistic Therapist in 1995 and first qualified as a NADA practitioner in 1997. 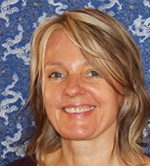 Sharon is a Reiki Master and is trained in Master Ear and Facial Microsystems Acupuncture. Currently volunteers at the Dare to Care clinic in Liverpool offering treatments to people in the local community, substance misusers and asylum seeker. Jamie has been working for Early Break, the young person and family service based in Greater Manchester since 2007. He has a background in treatment interventions for substance misuse and holistic therapies. Jamie’s passion for acupuncture began after sitting in on a treatment session, where he saw for himself the benefits of acupuncture. In 2008 he decided to learn the 5 point NADA protocol. Jamie’s work ethos is person-centred so all his treatment interventions are client led. In 2012 he became Early Break’s Service Assessor and undertakes the yearly re-assessments for internal and external therapists. Although he is based in Greater Manchester, Jamie is prepared to travel for bespoke training sessions. I learnt the NADA protocol 15 years ago and it has formed the bedrock of how I work across all disciplines for improving health and wellbeing. The work I do focuses on Micro Systems Acupuncture together with healing. 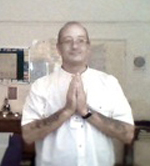 I am a Mind Calm Meditation teacher & a Mind Detox Practitioner, as well as a Sivanananda Yoga teacher. I became a NADA Trainer because I have seen the results it can deliver and the joy it can bring to people. Many people struggle with the challenges life presents and the NADA protocol is a great tool to overcome these obstacles and thrive. Nada GB Trainer for Ireland. I am also prepared to travel to other areas if the need exists. Owner of Re-Balance your life: Holistic Therapies based in Donaghadee, Northern Ireland. Member of Federation of Holistic Therapists. Member of Complementary and Natural Heathcare Council. I became a NADA Trainer as I am passionate about encouraging others to train as NADA practitioners, as I have seen the holistic benefits within my own life and my clients’ improved well being. I work as a Holistic Therapist, having previously trained as a NHS Therapeutic Radiographer. I am an Aromatherapist, Reflexologist, Reiki Master and Master Ear and Facial Acupuncture Therapist. I also provide breathing and meditation courses within schools and businesses alongside individually tailored ‘Coaching for Success’ programmes. I am very proud to be able to deliver this protocol as part of NADA GB team. As a former Complementary therapies co-ordinator for Lighthouse project Liverpool. I successfully set up 16 clinics across the Merseyside area. I was responsible for overseeing over a 100 trained health professionals deliver the Nada protocol safely within Community Drug & Alcohol services, prison & hostels. I am currently focusing on setting up Community Acupuncture groups in the Merseyside area to make it affordable & accessible to as many people as possible. I am passionate & proud to be part of the Nada GB team and happy to offer my support & to answer any enquiries. Ruth covers the Merseyside area. Gabriella trained to deliver the NADA protocol in 2007 and has been passionate about making it available to as many people as possible ever since. 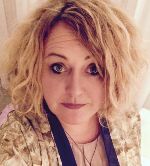 She has a background in Holistic Therapies and has worked for many years with people in recovery from substance misuse, mental health issues and domestic violence. Gabriella can cover Hertfordshire, Cambridgeshire, Essex and Bedfordshire. Gordon is owner of GP Hollistics and Yuan Midlands based in Willenhall, West Midlands and is Nada Trainer for the Midlands Region. 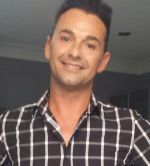 Gordon trained as an holistic therapist in 2005 and is qualified in the delivery of Cupping, Swedish Massage, Reflexology. Sports Performance coaching, NLP, EMDR, Post Traumatic Stress and Low Level Laser Therapy. 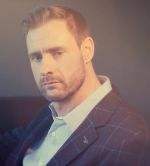 In 2008, Gordon became a qualified Hypnotherapist and has supported clients across smoking, weight and stress disorders. In 2015 Gordon qualified in Microsystems Acupuncture covering Auricular Masterclass, Facial, Scalp, Hand and Foot. He provides support delivery in a range of Acupuncture courses at the Yuan Traditional Medicine College in London.